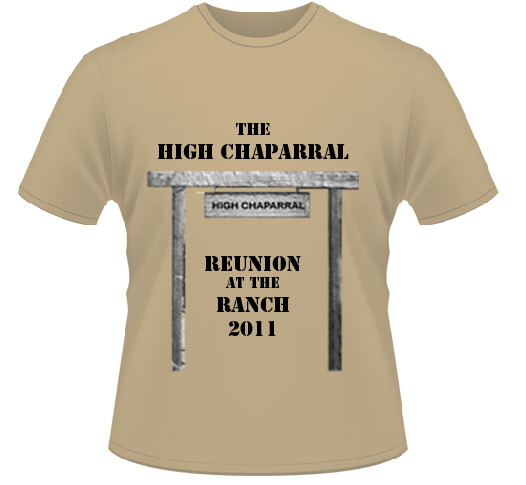 The deadline for registering for The High Chaparral reunion is September 1, 2011 so visit www.thehighchaparralreunion.com and enter your registration. We will make every effort to accommodate late registrations, however there will be a late fee for anyone registering after the deadline of September 1. If you're considering attending but aren't sure be assured it truly is a great experience that will give you tons of enjoyable memories. Special guests Rudy Ramos and Kiva Hoy sent their greetings this month. Rudy said, "I am looking forward to meeting the people who are coming. The last reunion was great and all of us staying in the same hotel made it seem like we were all on a trip together, which in truth is what we were doing!" Kiva Hoy sent these thoughts. "I'm looking forward to seeing old friends and being with Bobby's fans. The High Chaparral family was always an important part of our life and still means so much to me. I hope to thank each and everyone of you personally for the love and support you gave to Bobby through the years, and especially for the beautiful outpouring of love when he became ill. Each card and every note gave Bobby strength. As you can well imagine, I miss him every minute of every day. 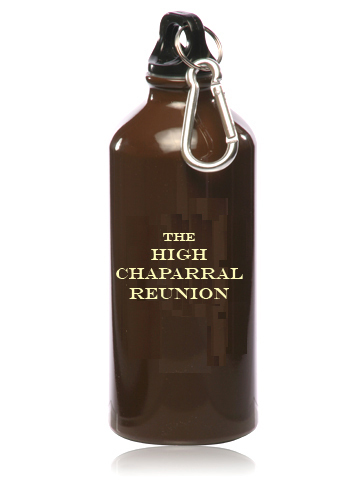 He would be pleased and very proud that you invited me to be with you for this special High Chaparral Reunion. As Bobby always told me, and on his behalf, to all of you, 'Be Safe' and I'll see you in Tucson." Your Personal Phone Call With Henry Darrow! 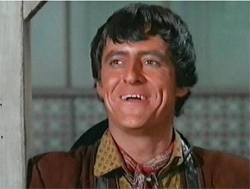 To celebrate The High Chaparral Reunion, October 21-23, 2011, Henry Darrow would like to talk to you personally! 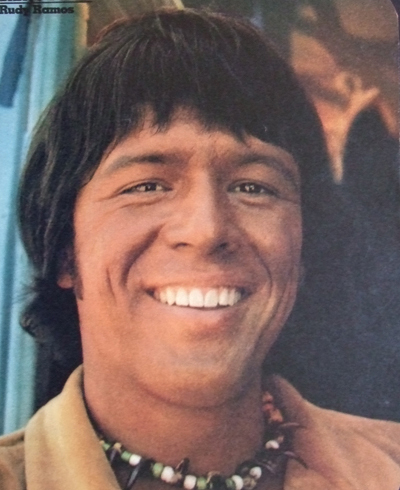 Henry, who played the dashing and lovable Manolito Montoya on The High Chaparral, is providing a five-minute private phone call, direct to your phone, during which you can talk about anything you want, and ask all the questions you've been dying to have answered. The phone call will take place during The High Chaparral Reunion on your choice of Friday, October 21, or Sunday, October 22. Anyone can be the lucky winner of this eBay auction. Henry would be happy to speak to you in either English or Spanish. Don't miss out on this unique opportunity. If you can't attend the Reunion and speak to Henry (as well as other stars of the The High Chaparral) in person, this is the next best dream come true. Auction ends August 7, so vist the Ebay auction site and make your plans to chat with Manolito! Your Personal Phone Call With Don Collier! 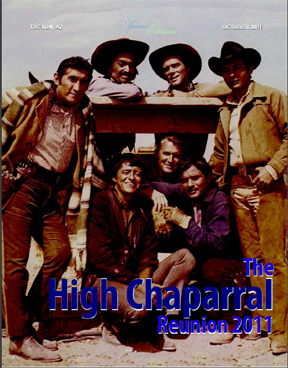 To celebrate The High Chaparral Reunion, October 21-23, 2011, Don Collier would like to talk to you personally! 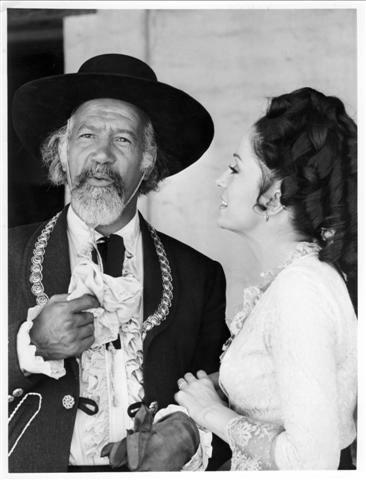 Don played the brave and loyal foreman Sam Butler on The High Chaparral. He is perhaps best known today as Buckskin on Fred's Trailer Park Bash on Sirius/XM. Don is providing a five-minute private phone call, direct to your phone, during which you can talk about anything you want, and ask all the questions you've been dying to have answered. As a special bonus you will receive a personally autographed photo of Don, your choice from 10 different photos, inscribed as you would like it. The phone call will take place during The High Chaparral Reunion on your choice of Friday, October 21, or Sunday, October 22. If you have Skype, you can have your call as a video chat, so you can see Don as well as talk to him. And who knows what other High Chaparral star might be strolling by to say hello? Don't miss out on this unique opportunity. If you can't attend the Reunion and speak to Don (as well as other stars of the The High Chaparral) in person, this is the next best dream come true. Auction ends August 9, so visit the Ebay auction site and make your plans to chat! But if you can't attend you can still have one of your own - 20 oz. BPA free aluminum, twist cap with wide mouth, the customized bottle in chocolate brown comes with a carabiner – attach to a backpack for easy access. $6.00 including shipping, and like all Reunion keepsakes, only available by pre-order until mid-September. 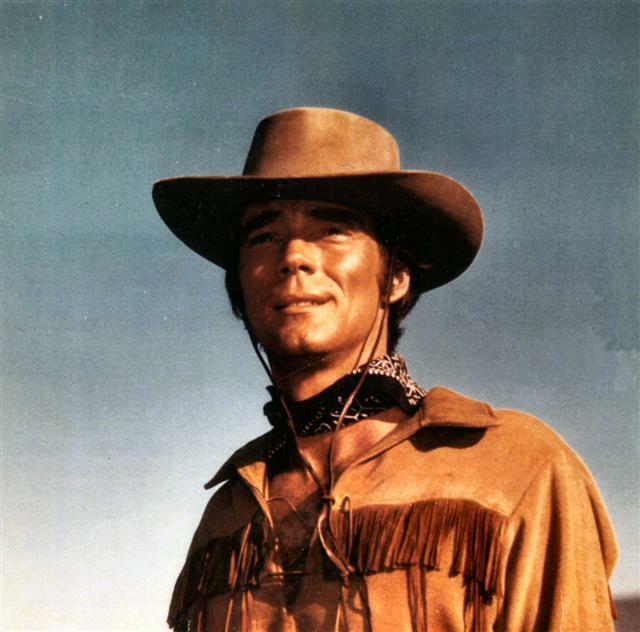 The Bonanza Round Up 2011 is the official convention of the Bonanza TV show and is sanctioned by Bonanza Ventures. The Round Up is being presented by Angel Hawk Productions/AHP Old West Events, LLC. The Round Up will take place in the Burbank/Los Angeles area on September 16, 17 and 18th. Activities include a tour of the filming locations, a “country fair,” a tour of the Autry Museum including the private archives where many of David Dortort’s donations are held, panels, guest stars, displays, games, contests, a silent auction and much more. 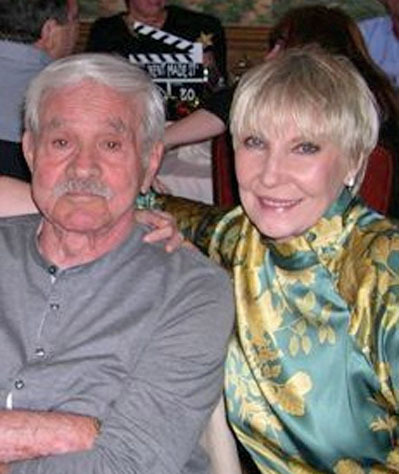 David Dortort, the creator of both Bonanza and High Chaparral, passed away in September 2010. We will also be doing a tribute to his life, as well as holding a Memorial Dinner in his honor on Saturday evening. Fans of both shows are encouraged to email for information. If you love the old west and love Bonanza this is something you won’t want to miss. Three day tickets and one day tickets are available. Since many locals may not be interested in all of the tours, we are making panels and dinner/buffet available to them at special rates. Prior conventions have been held in Lake Tahoe; this is the first time it will be held in the Los Angeles area, the actual filming location of the show. An anthology/tribute book entitled A Bonanza Round Up of Praise, Pics and Poetry and Prose and Bonanza Round Up tee shirts are also for sale. You do not have to attend the convention to make a purchase. All profits go to charity. For complete information on pricing and activities or to receive a registration form, please write to Cheryl Dubuque bonanzacon2011@yahoo.com. Also, please visit our website at www.bonanzaroundup.com. Space is limited so be sure to inquire soon. 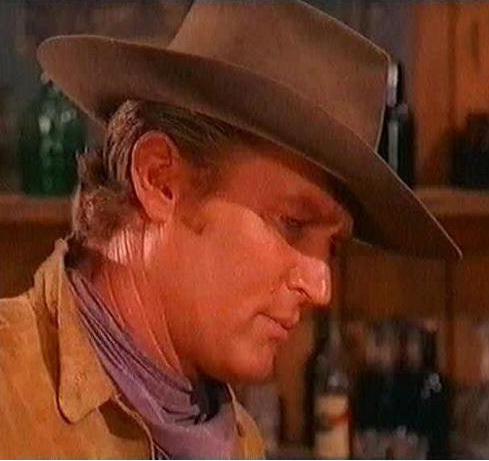 When the pilot script for The High Chaparral first introduces Reno, he’s in the bar in Tucson, with a scruffy group of men who are described as ‘certain salient characters who will later become important.’ The men in the bar are all a part of Sam Butler’s bunch, but by the next scene they’re reluctantly hired by John Cannon as his first ranch hands. Reno had one line in the barroom scene script (‘Ride ‘em cowboy! Yahoo!’). More would come later, including memorable turns at playing guitar and singing a particularly haunting melody that long-time viewers of the show still love. Tall and good looking with long hair, Markland was a favorite with teenagers who visited the set at Tucson. During costuming he landed a shirt that fit 1870’s cowboy Arizona, but was also perfect for looking cool in the late 1960’s. “The fringe looked great – it was ‘in’, the thing to wear. I used to cut off pieces for the kids who came to see us shoot because they wanted a souvenir, They were all so nice to send us fan letters. I had big boxes and sacks of letters. It means a lot to an actor to get those, so when they visited and asked I always tried to give them something." Old Tucson Company is in the final planning stages of building out the center of its world-famous Old Western Town. The goal of the approximately 5,000 square foot Heritage Square project is to create three new streets and twelve new building sets. The scope of the project will require Old Tucson to temporarily revise its operating hours. The design and construction of the new building sets will be led by Production Designer Gene Rudolf, credited with creating sets for many movies including Young Guns II, The Great Gatsby, The Right Stuff, Raging Bull, Marathon Man, Three Days of the Condor and many more. 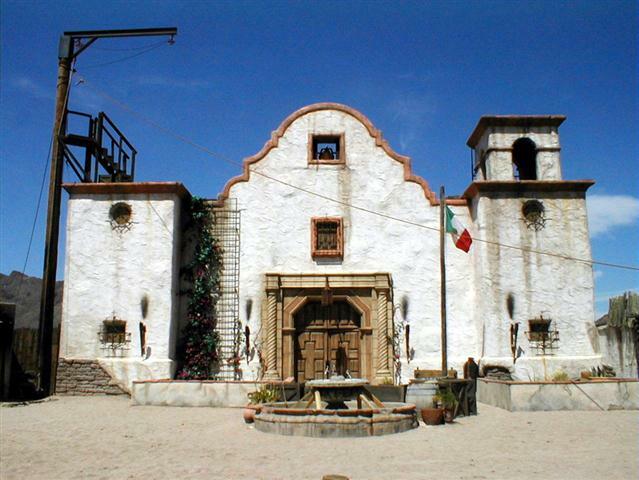 To accommodate the construction scheduled to begin in early June (pending Pima County approval), Old Tucson will be open to the public every Friday, Saturday and Sunday from 10 am to 6 pm with new shows and “Living History” vignettes performed throughout the town. Arizona ID, may not be combined with any other discount, and is available beginning June 3. Some special events may be excluded from this offer. 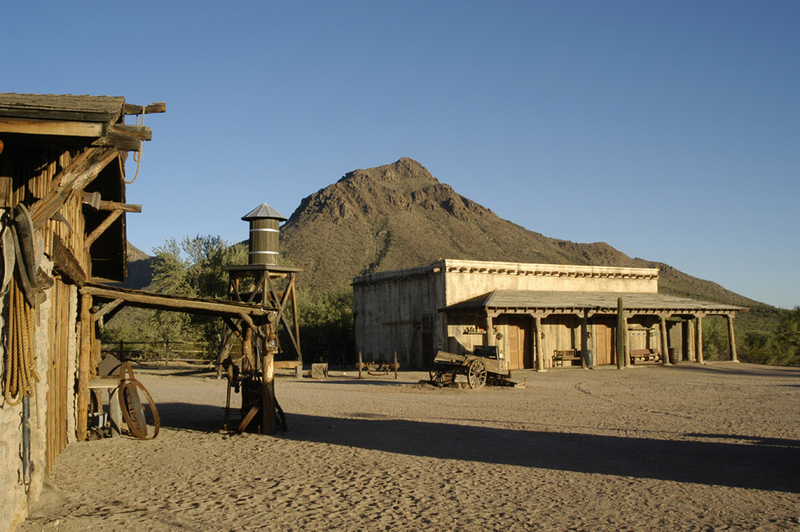 Old Tucson – Preserving and Promoting the Spirit and Traditions of the Old West! This month we conclude our series with a look at the contributions of supporting cast Rudy Ramos, Frank Silvera and Gilbert Roland. 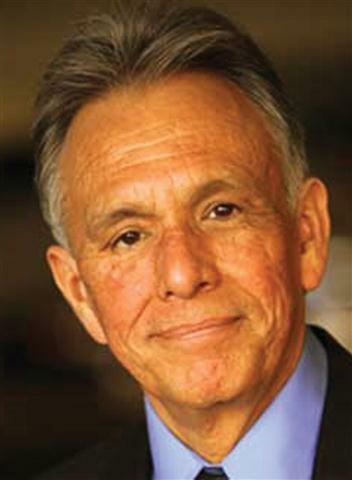 I don’t think anyone else could have done such a superb job of portraying the character Wind as Rudy Ramos did. I was surprised to learn that the introduction of Wind caused a degree of ire among some fans who thought he was introduced to replace Blue. I don’t quite understand why. Blue was John’s son. Wind was a nomad who chose to stay at the Chaparral. There is no comparison. I can’t help thinking it came about purely by a timing error. Perhaps if Wind had joined the cast earlier, no one would have had any issues about it. But came he did and what a wonderful job Rudy made of his role! Rudy brought a quiet dignity to the character, unkindly called a ‘breed’ by many; breeds being half white and half Indian. We learn that Wind was abused by both the Pawnee, of which his mother was one, and by the white man, yet he shows no hatred for either. His mother named him Wind saying he would never have a home (not too encouraging as mothers go, was she!). Interestingly we hear nothing of his father and I found out why. It seems that the writers were leaving the door open to have Wind be Buck’s son. This might explain Buck’s initial hatred of Indians. Perhaps they stopped him from being with the woman he loved. We will never know. But it would have been a nice touch for Buck to finally have a family of his own. When Wind is falsely accused of cattle theft and nearly hanged, men of the Chaparral ranch save him. Wind works at the ranch in an effort to repay them and ends up becoming a welcome member of the group. But not immediately. While he is not abused, we see distrust in many of the bunkhouse boys. Over time, Wind finds a home, in a way, at the Cannon ranch. Wind only appeared in about every other episode of the final season which is a shame given that he created such a marvelous character through his performance. There is something about the way Rudy chose to play Wind that is particularly engaging. As one would expect, he is as unsettled by living at the ranch as many of the ranch hands are of having him there. Rudy might well have slipped into the self-pitying portrayal some actors choose for ‘misfits’ but he did not. Nor did he take the angry approach. In some way, and I have yet to put my finger on how he did it, Rudy let us see that Wind was hurt but was also strong enough in spirit to accept that this was the hand he was dealt. There is never any whining or complaining behavior from him. Consequently, we care about Wind. Rudy also portrayed him as wise but not so wise that he had all the answers. Indeed, in A Man to Match the Land, he considers John and his men horse thieves for going to round up horses on Indian land and later admits he was wrong. We seldom see Wind smile but when we do, oh how welcome it is! It wasn’t until I watched Rudy on the 2009 Reunion DVD that I realized, like many of the cast he put a lot of himself into that character. He clearly cared about the fans, listened and appreciated all the good things he had been blessed with. Wind also rounds out the series in showing that the white man and the Indian (even if he is only half Pawnee) can live and work together. He personifies that hope and was a valuable addition to the show. My only wish would be that he came sooner! In my view, no one else could have created such an inspiring character, so late in the series I might add, as Rudy Ramos’ Wind. Another one of my favorite supporting characters is Jamaican born Frank Silvera as Don Sebastian Montoya. Like Marie Gomez, his presence fills a scene. Even if I’ve seen an episode so much that I could almost recite it, I never miss it if Frank is making an appearance. Superior talent is required to create a believable character like Don Sebastian and I’m not sure anyone else could have done the job as well. Generally, if a person changed their opinion, ideas, behavior and moods as often as Don Sebastian does, he’d be considered neurotic. Yet Frank pulled off this contradictory behavior beautifully. We learn that Don Sebastian created his own empire and this explains his often ruthless behavior. He has no intention of being poor again. Most of the time he is dignified, thoughtful and definitely a shrewd businessman. Viewers might believe he was cold and calculating yet his love for Victoria and disappointment in Mano’s attitude to life give him a vulnerability others might not be able to inject into the character. His wish for grandchildren also shows us a lonely side – a man who wants a big family to love. Don Sebastian is also a lady’s man as we see in Once on a Day in Spring when the beautiful Countess Maria, played by Kathleen Crowley, comes to town. In every instance, Frank’s relationships with the rest of the cast, teaches us something about the other character. His disappointment in Mano gives us a chance to see Mano’s inner turmoil over not being like his father. His love for Victoria reveals that this strong woman is, and always will be, Daddy’s little girl. I would be hard pressed to pick a favorite supporting cast member. They are all wonderful. But if I had to give an example of one who is a character we grow to love and look forward to seeing, who also acts to tilt the mirror on the main cast in a way as to reveal light (or darkness) in their character that might otherwise remain hidden, I’d say Frank tops the list. After the accidental death of Frank Silvera, Gilbert Roland brings the series to its conclusion in the two part movie Lion of Sonora. To have brought in a new character so close to the end, and one that might be mistaken to be a replacement for the irreplaceable Frank Silvera, was a brave move on the part of the creators. They could have played it safe by having Mano finally accept his responsibility to the ranch but they did not. 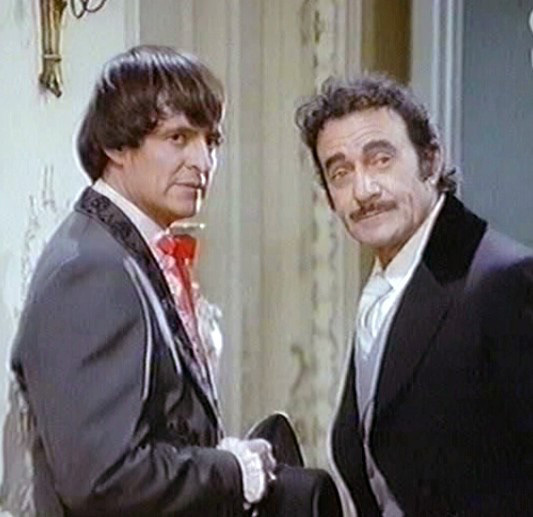 In his role as Don Domingo Montoya, Gilbert’s transformation from selfish, lazy gambler to what we know will be a wonderful new Patron of Rancho Montoya is remarkable. Most people would need more time to put that to viewers in a convincing fashion but Gilbert managed to do it in only two episodes. I often wondered how Mano could be so very different in character to his father. Through Don Domingo, we learn that he takes after his uncle as often happens in families. Lion of Sonora was so well done that this two part special could well have been used as an opening for the new season and its new characters. Sadly the show was cancelled instead. That the final supporting cast member to join High Chaparral should be twice nominated for the Golden Globe Award and have a star on the Hollywood Walk of Fame shows that even down to the very last episode and the very last member of cast and crew, the show’s creators always had an eye for the best. Before deciding to become an actor, Frank Silvera attended Law school with the intention of becoming an attorney or teacher of Law. His Chaparral ‘brother’, Gilbert Roland, planned to follow in his father’s footsteps to become a bull fighter! 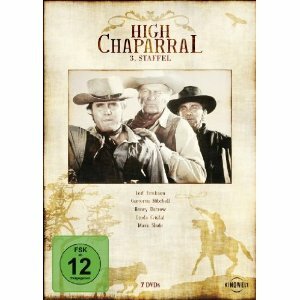 Kinowelt, the German film distributor who has released The High Chaparral seasons 1-3, now plans to release season 4 in the first quarter of 2012. The DVDs seasons 1-3 are currently available on Amazon Germany. The Kinowelt DVDs are in PAL (European) format with both German and English language versions in Dolby sound. In the U.S an all region/all format DVD player is required to read the PAL formatted discs. Many newer model players are all region. Check the manufacturer/model documentation to be certain. Computer DVD players will often play back a PAL formatted disk so the episodes can be watched that way if the TV DVD player won't accept the PAL format. For fans who want to purchase a region-free DVD player, World-Import offers a guarantee of players that will play any region disk.